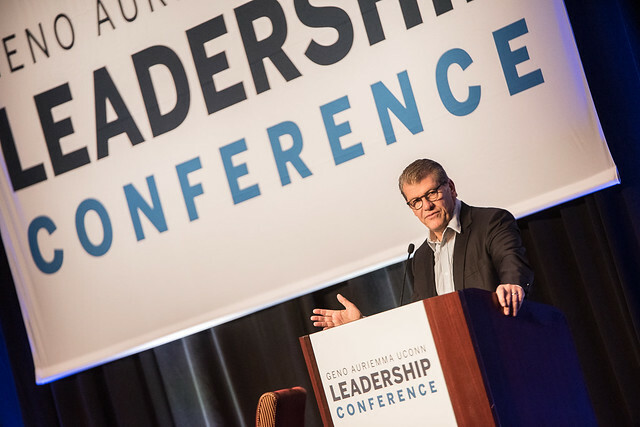 Yet after interviewing business icons, U.S. Presidents, the Pope, and many other powerful leaders, Alan Murray, the first speaker at the Geno Auriemma UConn Leadership Conference, offered some guidelines for surviving and thriving in this rapidly and profoundly changing business climate. Murray is the chief content officer at Time Inc. and president of Fortune. 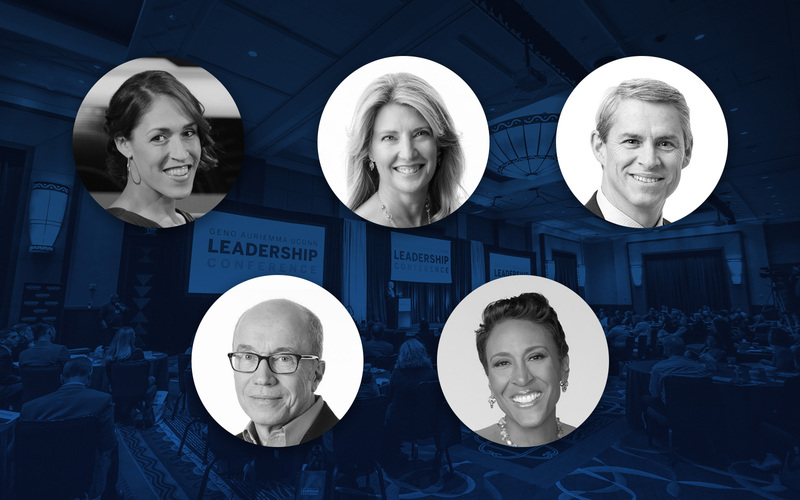 According to Murray, the dramatic changes in business are the result of several factors, including the rapid dissemination of news online, a new workplace culture where employees demand leadership accountability and action, and the pressures of a world in tremendous flux. In the past, people typically only concerned themselves with events in their immediate community, but the expansion of technology has created an environment where they now feel connected with others a half world away, Murray said. 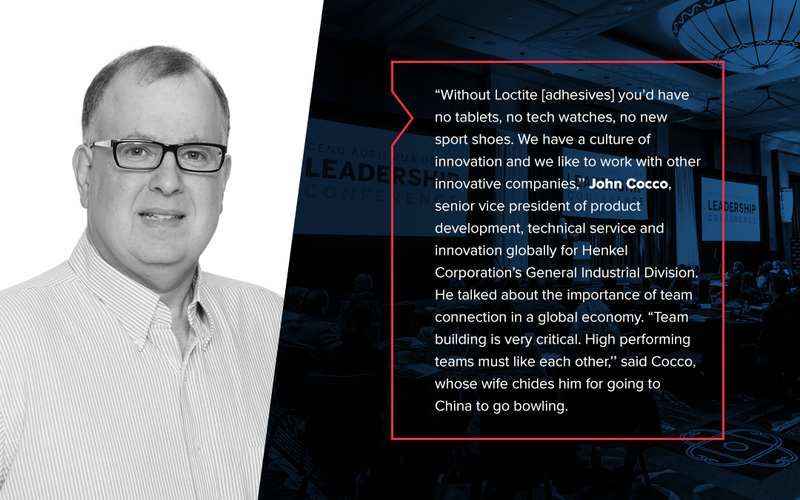 And, consequently, business leaders need to pay attention. When Dr. David Dao was bloodied and then dragged off a United Airlines flight, the news likely traveled around the world before the CEO of United even knew about it, he said. The same forces are at work with the Parkland, Florida student gun control advocates and the Starbucks CEO who had to address the racial profiling problems in his Philadelphia store. “Suddenly the Starbucks CEO has become the mediator in ‘the great race debate’ in our society,” said Murray. CEOs used to hide under their desks to avoid controversy. Today, that’s a recipe for failure, he said. People won’t follow a leader because of his or her title; they’ll only follow those who inspire them. 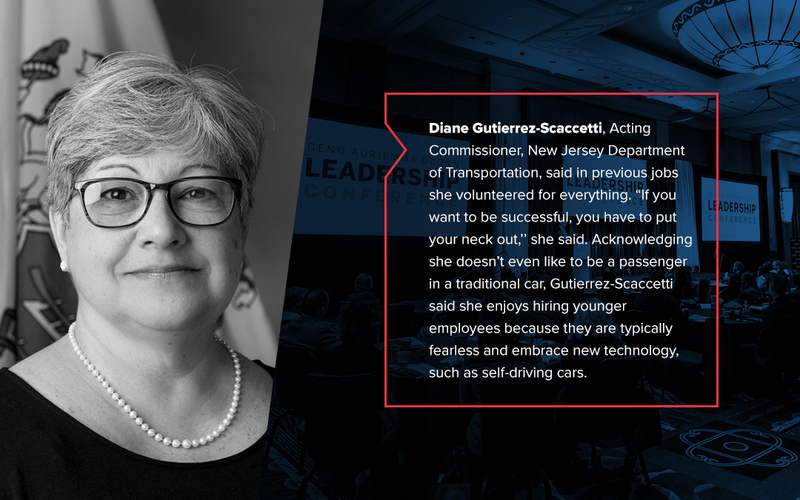 Business executives need to have a broad awareness of not only their businesses, but their customers, employees and their roles in society. Successful business leaders always own up to their mistakes. 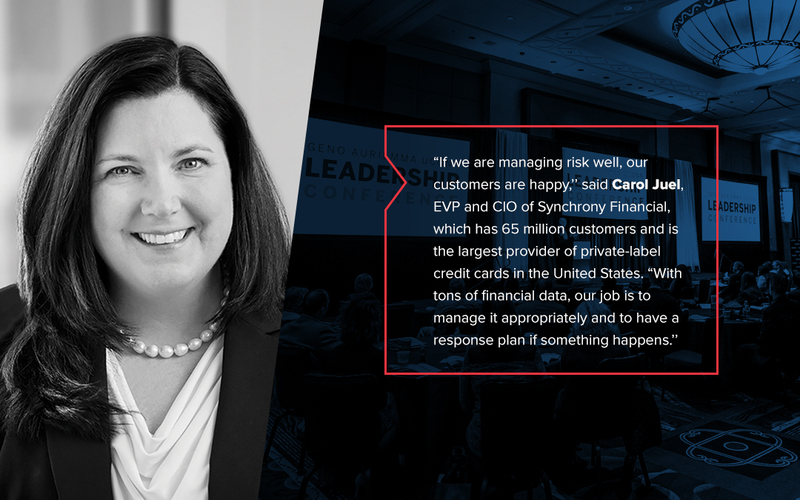 Operate at “game” speed to keep pace with the rapid changes in business. 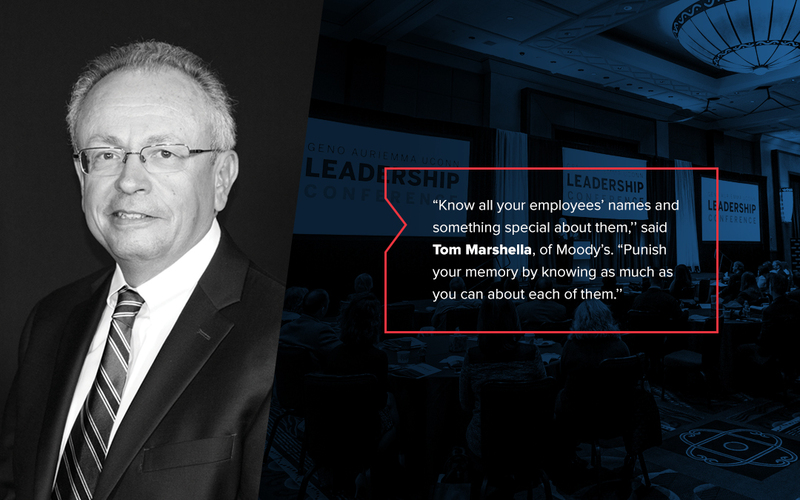 And, leaders must focus on their employees, their talent and their team, because the company’s success or failure depends on them. 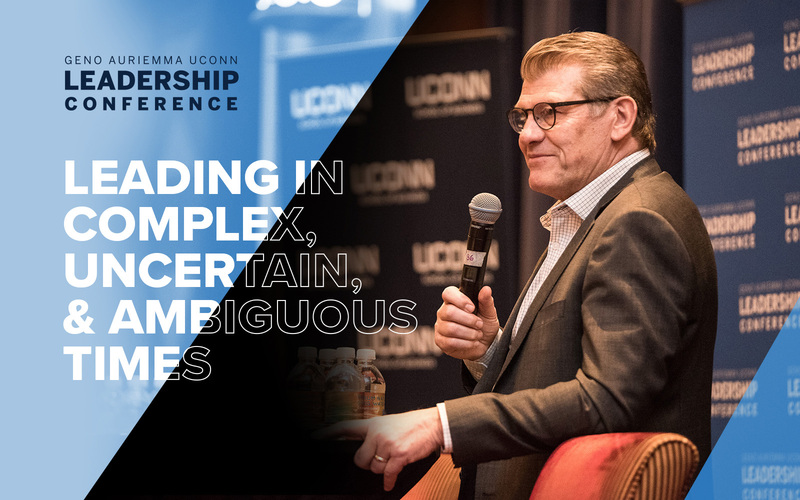 The Geno Auriemma UConn Leadership Conference, held at Mohegan Sun on April 17 and 18, drew a diverse group of business achievers. 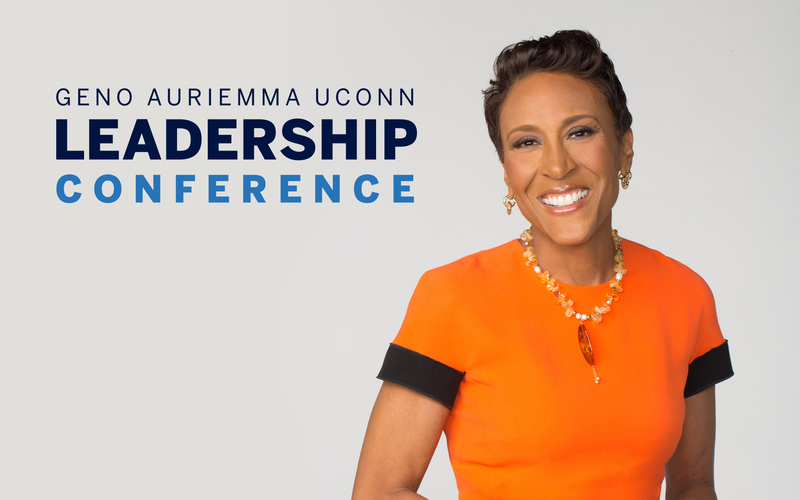 Celebrity panelists included: Robin Roberts, anchor of ABC’s Good Morning America and the conference keynote speaker; Rebecca Lobo, ESPN basketball analyst and former UConn basketball star, and Dan Orlovsky, a UConn alumnus and retired NFL quarterback. 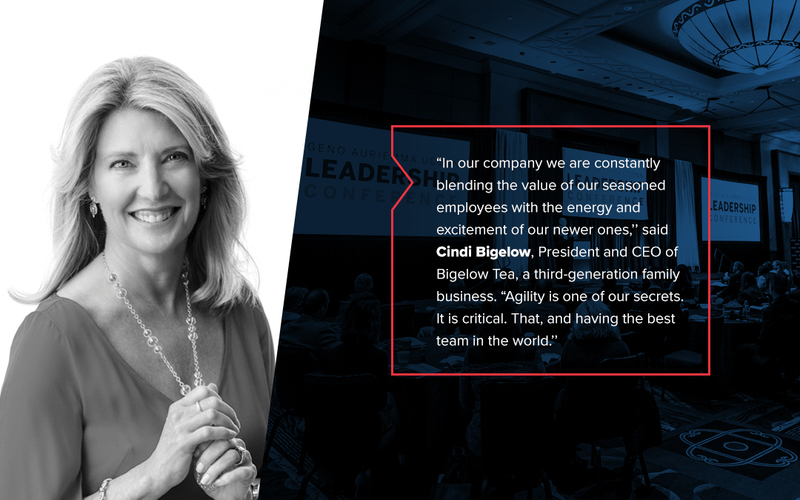 Industry giants included: Thomas J. Marshella, managing director and co-head of corporate finance in the Americas for Moody’s Investors Service; John Cocco, corporate vice president of innovation at Henkel Corporation, and Cindi Bigelow, President & CEO of Bigelow Tea. Other panelists included Diane Gutierrez-Scaccetti, acting commissioner of the New Jersey Department of Transportation and a UConn alumna; Kim Sayles, U.S. Secret Service counter sniper assigned to the President of the United States; and Nicki Maher, now an entrepreneur, but formerly a senior vice president and the third hire by jewelry giant Alex and Ani. 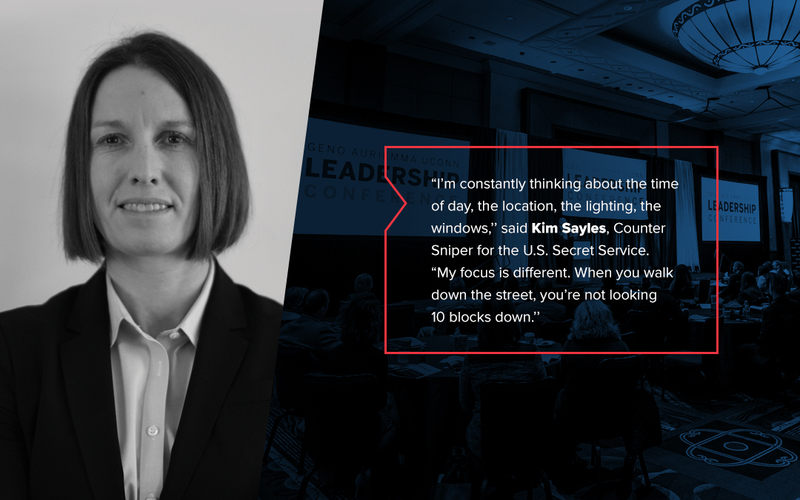 The conference, which drew 150 aspiring and established business leaders, focused on staying agile in a rapidly changing world. 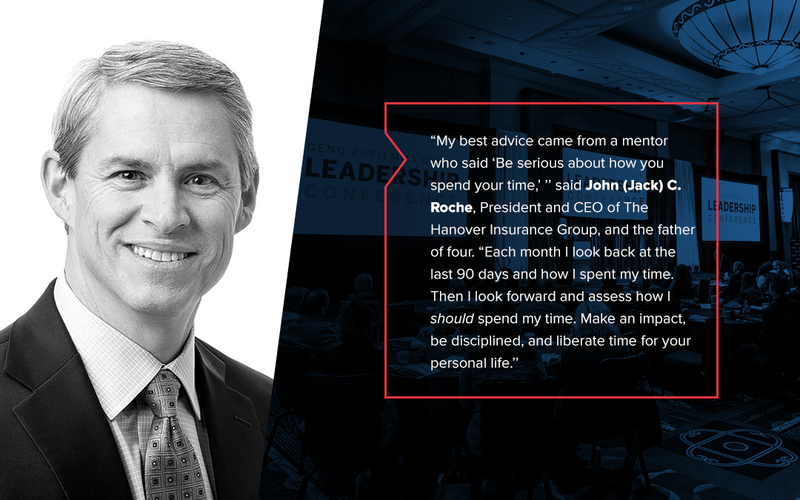 Seminars included everything from making new opportunities for personal growth to building agile teams, addressing risk management, and how to navigate a family business. 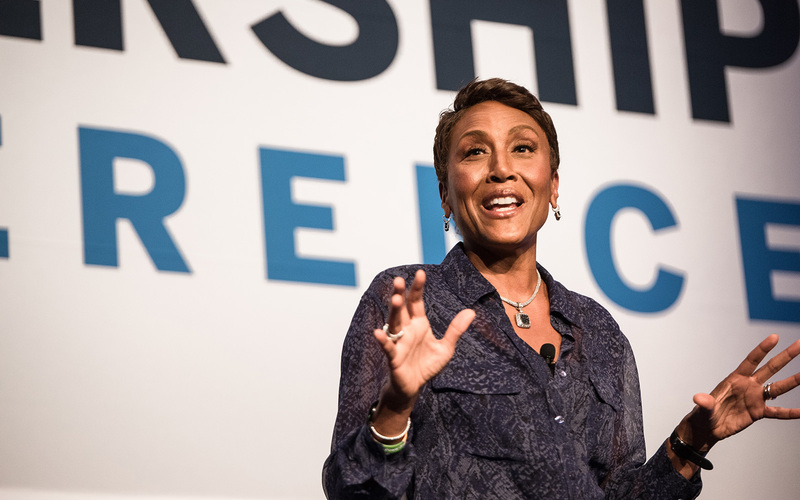 Keynote speaker Robin Roberts delighted the audience with stories of her athletic and career experiences, as well as the strength and faith that helped her beat cancer twice. “I think what helped me most in my career was being coachable, determined, and disciplined,” Roberts said. 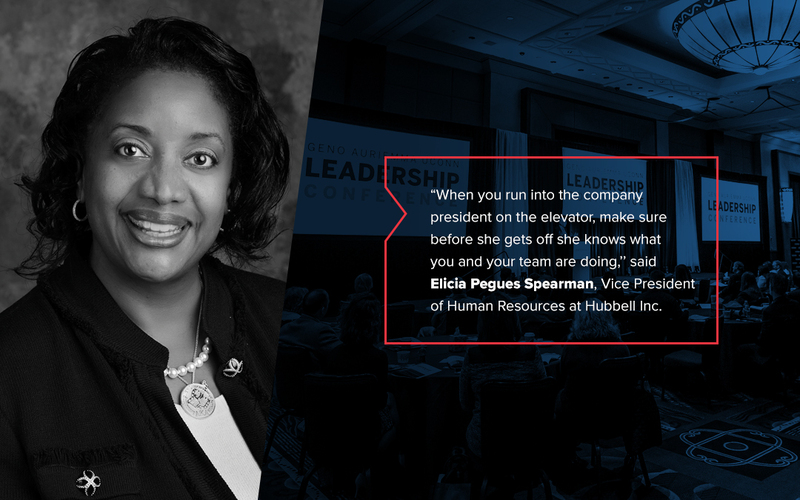 Her parents, a father who was a Tuskegee Airman and a mother who was a first-generation college graduate from Howard University, served as powerful role models. “I learned the 3 “D”s from my parents,” Roberts said. “They are: discipline, determination, and De-Lord!” She talked about the adversity she faced as a woman of color in broadcasting, and said that many people told her she wasn’t going to make it. 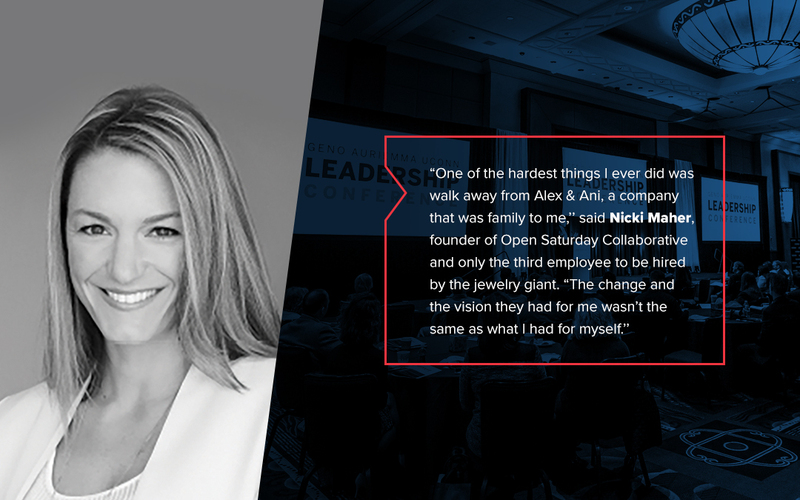 She did land that dream job at ESPN, where she stayed for 15 years before moving to the news side of the business. When Auriemma was in second grade, his family moved to the U.S. from Italy, and neither he nor his parents could speak English. The nuns at his school said he wouldn’t graduate to third grade without a command of English. Auriemma said he believes in honesty, and that is something his players find refreshing. “I told [former player and current assistant coach] Shea Ralph, ‘If you’re really good, you’re going to play a lot. If you stink, you’re not going to play at all.’ That’s what got her to come to UConn. I was the only coach that told her the truth,” he said. When new basketball players arrive at UConn, they are in for a shock, he said. He said he looks for players who have character and commitment and doesn’t want those who have bad attitudes. “We’re UConn basketball. We’re like Apple, Google and the best companies in the world,” he said, adding that adding the wrong person to a team is like adding sewage to fine wine. 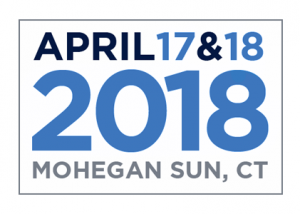 One of the highlights of the conference was the closing presentation by UConn women’s basketball veteran and former WNBA player Rebecca Lobo and Dan Orlovsky, a former UConn quarterback and recently retired NFL player. In an exchanged that included some light-hearted sparring, mainly at Orlovsky’s expense, the two spoke about life after professional sports and the need to be able to pivot in your career. Lobo, the mother of four children, has become an ESPN commentator. She is never away from home for more than a week and her schedule allows her to coach her children’s baseball and basketball teams (“Youth sports parents are crazy!”) while maintaining her career. 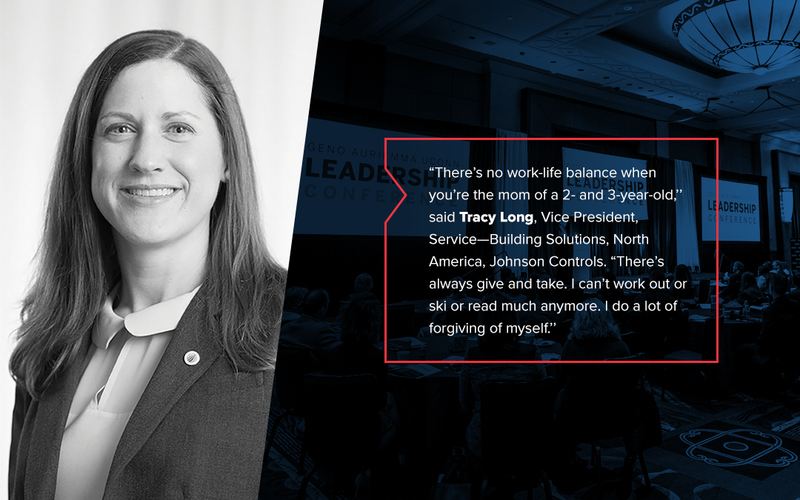 “I have the work-life balance that so many people desire,” she said. Orlovsky shared how one day he had devised a plan to get the UConn football team out of practice early, so they could enjoy a rare evening of fun. Head Coach Randy Edsall figured out what was happening and punished the team by making them repeat their 2 ½-hour practice. Needless to say, Orlovsky wasn’t popular with his teammates that day. Orlovsky said his departure from football was more difficult than Lobo’s transition. “Football set the rhythm of my life for 27 years, so I’d have to say I have a little bit of fear and anticipation,” he said, as he weighs his career options, after recently finishing his bachelor’s degree at UConn. Now the father of four children, including triplets, Orlovsky said he has learned to accept that he doesn’t have to be perfect at everything to be successful. During his first semester at UConn, Orlovsky focused more on football than his studies and his grades were awful. Edsall told him that unless he earned a 3.0 he could plan to spend his time on the bench. “It taught me I had to be a leader in everything, not just football,” he said. It is a lesson he will take with him into his next career.